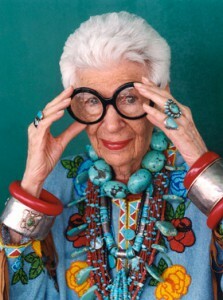 Today I would like to introduce to you Iris Apfel. This remarkable Lady I ran into many times on the street during the years I lived in New York. Mostly it was on 5th Avenue close to 56th street so I believe she lives close to Central Park. Always wearing big sunglasses and with a look that just cant take your eyes away. I remember thinking of her for days after seeing her. She is those kind of people that you can´t stop think about. What is her life like? What did she do when she was young? When did she start explore the world of fashion? and How did she come up with her personal strong style? She studied art history at New York University and attended art school at the University of Wisconsin. As a young woman Barrel worked for Womans Wear Daily and for interior designer Elinor Johnson. She also was an assistant to illustrator Robert Goodman. In 1948 she married Carl Apfel. Two years later they launched the textile firm Old World Weavers and ran it until they retired in 1992. During this time, Iris Apfel took part in many design restoration projects, including work at the White House for nine presidents: Truman, Eisenhower, Nixon, Kennedy, Johnson, Carter, Reagan, and Clinton. 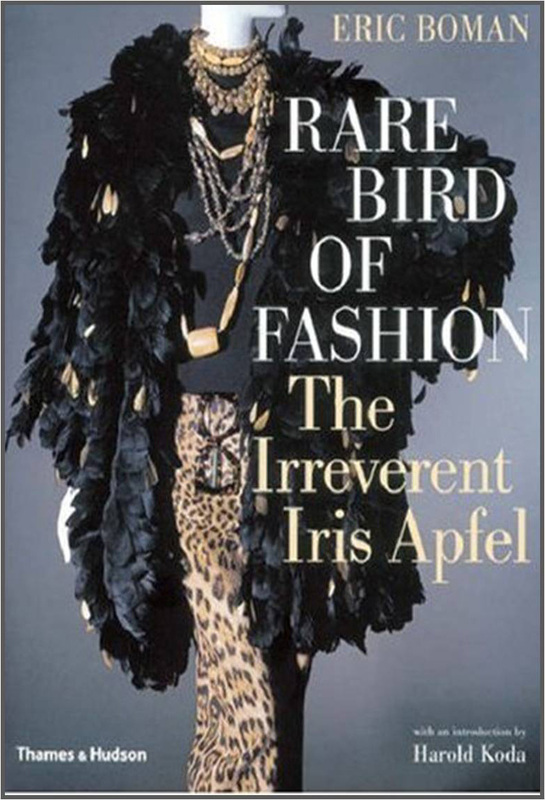 In 2005, the Metropolitan Museum of Art in New York City premiered an exhibition about the fashionable style of Iris Apfel entitled Rara Avis (Rare Bird): The Irreverent Iris Apfel. 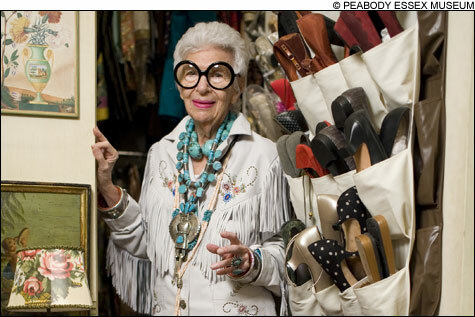 Iris Apfel is a woman who has always been ahead of her time. More than 50 years ago as an interior designer looking for fine traditional silk-woven fabrics, she recognized an opportunity and, along with her husband, Carl, founded Old World Weavers. She built it into one of the most prestigious brands in the world of textiles and interior design and the authority on antique textile reproductions. Thirteen years ago it was sold to Stark Carpets Co., and the Apfels have remained as consultants. The exquisite workmanship and exclusive fabric designs drew the attention of the most discriminating clients – including Greta Garbo, Marjorie Merriweather Post and Estée Lauder. Old World Weavers was also awarded many important restoration projects, which included work at the White House, the Metropolitan Museum of Art in New York and the Flagler Museum in West Palm Beach. Apfel has been an influential pioneer in the world of fashion as well, boldly linking high- and low-end and melding flea market finds with haute couture long before doing so was considered fashionable. Her richly layered combinations of colors, textures and patterns show her remarkable panache. When Interviewd by Panacheprivee she stated following about her personal style and her love for Accessories. You really are an original. How would you describe your remarkable personal style? I think dressing up or down should be a creative experience. Exciting. Fun. Whenever possible, it’s really great to start with a marvelously cut designer piece and build on it. 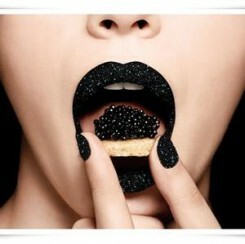 For me the key to personal style lies in accessories. My friends tell me that my oversized glasses and my pairs of bracelets have become my unwritten signature. I have amassed an enormous “collection” of bags, belts, bangles and beads without which I would be lost. 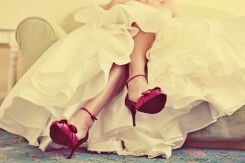 One can change the entire look of an outfit by substituting one accessory for another. I love objects from different worlds, different eras, combined my way. Never uptight, achieving – hopefully – a kind of throwaway chic. Thank you so much for sharing a bit of Iris Apfel with us. It’s always wonderful to read how someone with such great style uses beads to be “herself”.